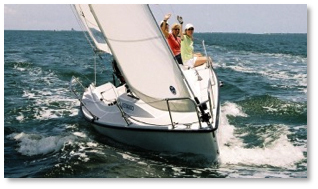 With the country’s largest estuary beneath our keels, we sail the Chesapeake every week, from April to November. From day sails to weekends and beyond, you can explore the Bay from Back River to the Patuxent, from the Chester to the Choptank. We often touch base at a yacht club or marina. On other occasions we raft up in a cozy cove, frequently in our signature 'circle raft'. Sailing and making new friends along the way is what we’re all about!